28 boxes, room for sleds and loads of gear in back. Boxes have interior doors as well so you can work with dogs inside on nasty days. 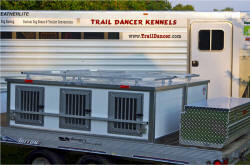 A pair of matching 3-hole dog boxes for my trailer manufactured by Gavin Baker (Trail Dancer Kennels). The construction is superb. 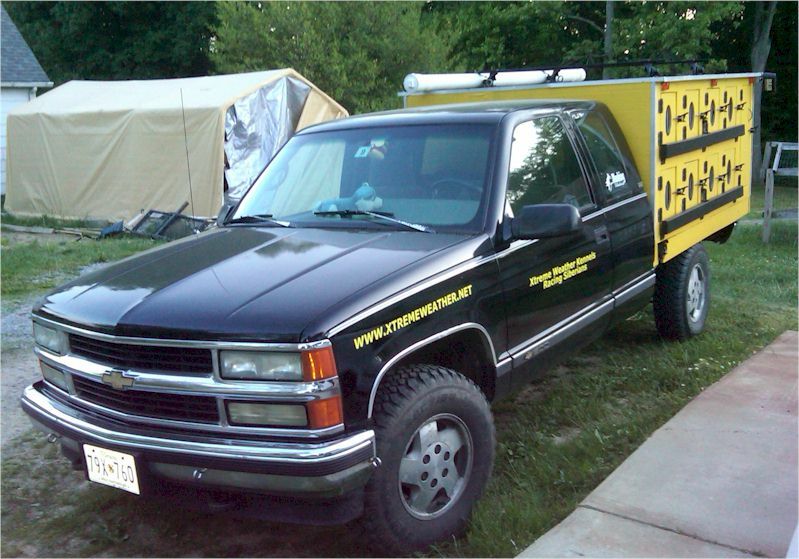 The trailer provides room for my ATV up front for fall training or for supplies in the winter. The boxes stack for other uses (the roof racks keep them together securely, as they tuck into the floor frame). Aluminum frame, aluminum coated mahogany plywood walls, and all aluminum roof, make for a long-lasting, weather-tight box. It's the box I've wanted for 20 years. It was worth the wait! 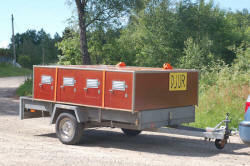 This is a picture of my first dog box trailer setup for the SDC truck photos page. I say "first", as I'm already planning the next one after having made all the newbie mistakes on this one. The dogs are safe inside though. 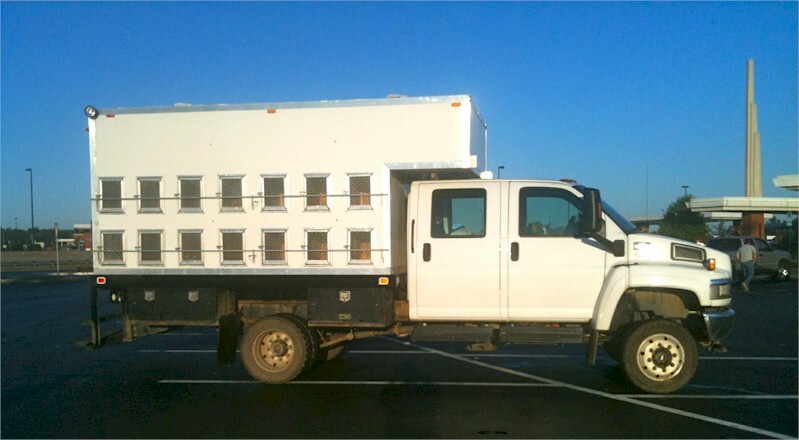 8 boxes, MDO sides and roof, 2x2" inner frame, 1/2" plywood floor. 16 hole box, LED lights in the rear. 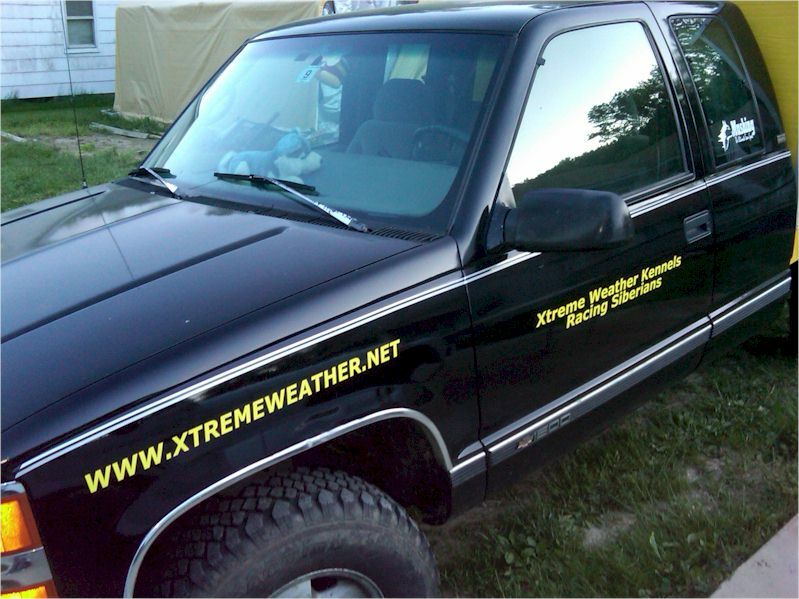 Custom painted cab and box. Huge boxes to keep the dogs comfy or to double up if needed. Outriggers, 16 eye hooks all around the truck for quick drops, Blazer spot lamps on each side. 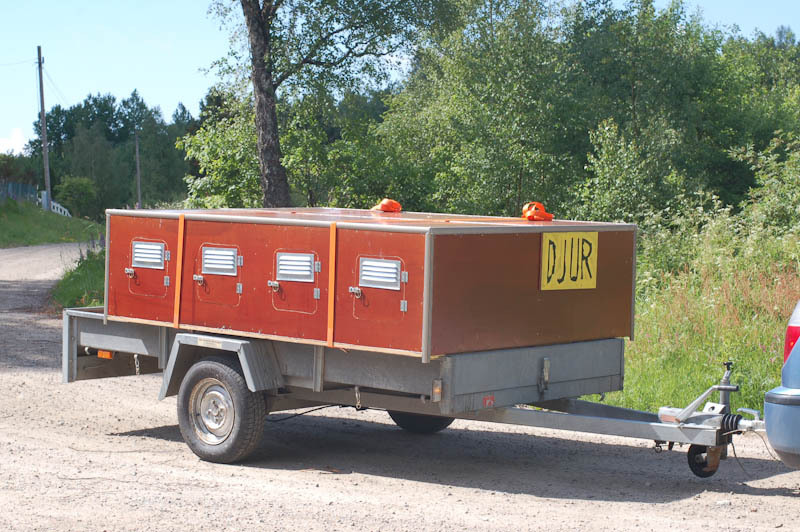 The first year with the "DeKuiper Bookmobile-Dog Truck Rig" has drawn a lot of attention - even the 2010 ONAC announcer in Fairbanks kept mentioning "truck envy" on the part of other dog drivers!! 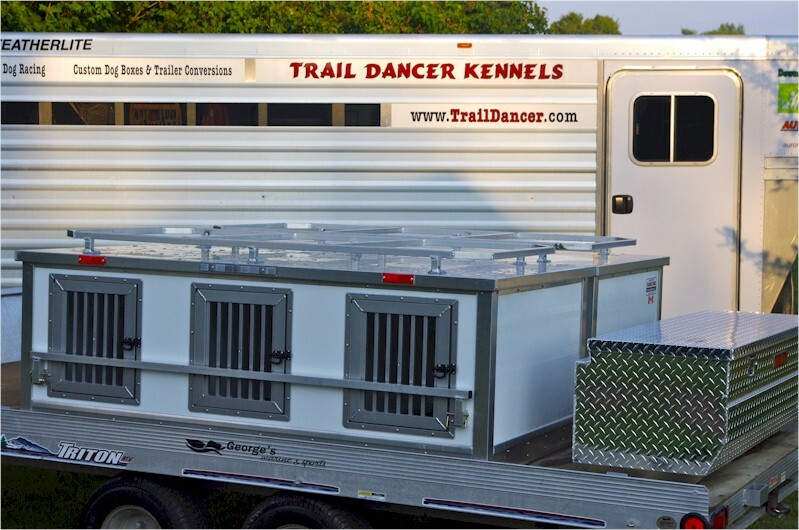 The trailer has 32 dog boxes, with lots of storage, an LP furnace, 3 cylinder diesel generator (which means microwave and electric can opener!!) and living quarters - no hot water yet! !